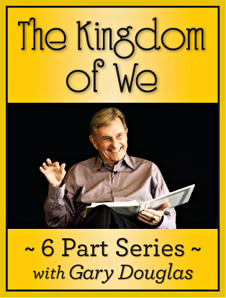 The Kingdom of We Facilitated by the founder of Access Consciousness, Gary Douglas . What if we could live from the oneness we truly are? In what Gary Douglas calls The Kingdom of We. The Kingdom of We is oneness and consciousness -- which includes everything and judges nothing. What would you choose from that place? What could you be, know, receive and perceive? What could you create, generate and institute for you and the world? What could you contribute with to the Earth? For years he has invited people to function from this place. With the changes that have occurred lately, it is now possible for people to live more in the We and more in the possibility. Are you willing to truly explore the Kingdom of We? Yes, it is a totally different place to function from! Yes, it is a totally different place to choose from! And what if this is what you've been asking for all of your life?